This update includes the Millward Brown poll for the Sunday Independent published on Saturday 7th of November. 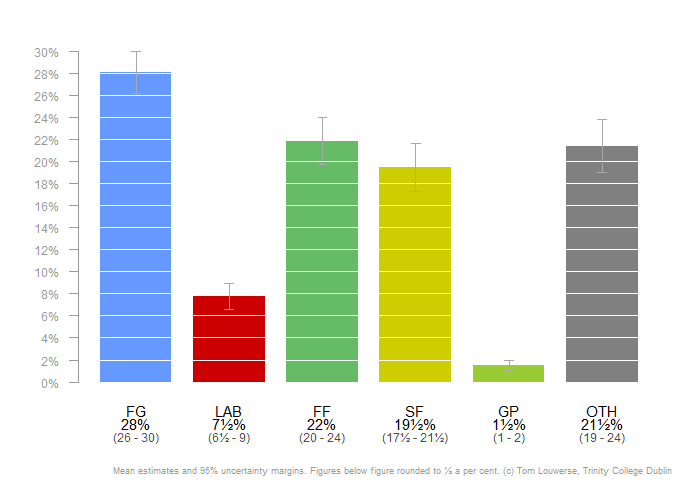 The largest government party, Fine Gael, and the largest opposition party, Fianna Fáil, have both seen their electoral prospects improve over the last months, according to the Irish Polling Indicator. 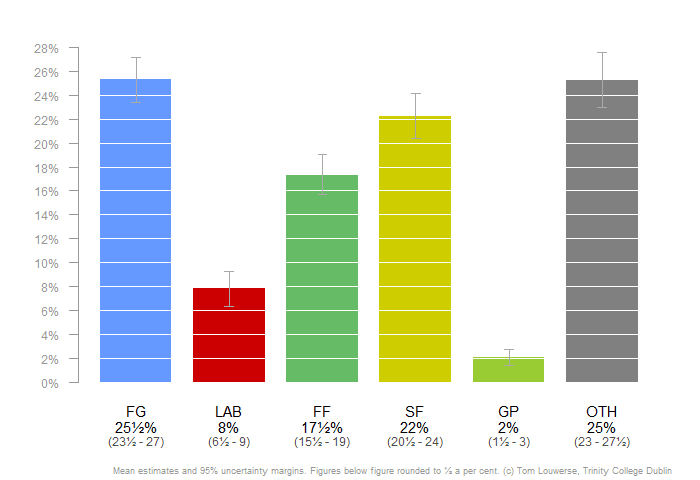 Fine Gael has recovered from a 22% low early December 2014 and now polls around 27%. Micheál Martin’s party also found the way up, increasing about 2% since late March. 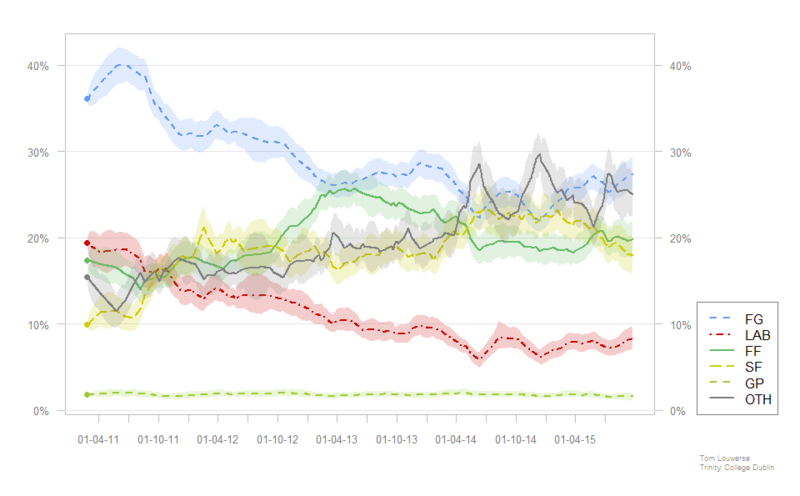 At 21% the party is finally improving on the consistently poor level of polling it had seen in the last year.